As electronic health records (EHRs) became broadly available in medical practice, effective use of EHRs by medical students emerged as an essential aspect of medical education. While new federal clinical documentation guidelines have the potential to encourage greater medical student EHR use and enhance student learning experiences with respect to EHRs, little is known nationally about how students have engaged with EHRs in the past. 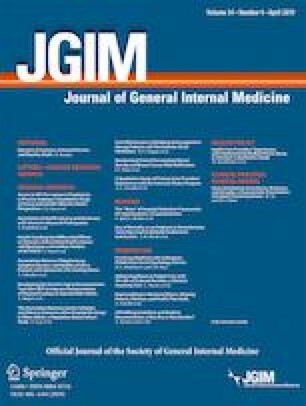 This study examines medical student accounts of EHR use during their internal medicine (IM) clerkships and sub-internships during a 5-year time period prior to the new clinical documentation guidelines. An online survey about EHR use was administered to medical students immediately after they completed USMLE Step 2 CK. The sample included 16,602 medical students planning to graduate from US medical schools from 2012 to 2016. Descriptive statistics were computed to determine the average percentage of students engaged in various health record activities during their IM educational experiences by graduation year. The vast majority (99%) of medical students used EHRs during IM clerkships or sub-internships. Most students reported that they entered information into EHRs during the inpatient component of the IM clerkship (84%), outpatient component of the IM clerkship (70%), and the IM sub-internship (92%). Yet, 43% of the students who graduated in 2016 never entered admission orders and 35% of them never entered post-admission orders. Medical school graduates ought to be able to effectively document clinical encounters and enter orders into EHR systems. Although most students used and entered information into EHRs during their IM clinical training, many students appear to have received inadequate opportunities to enter notes or orders, in particular. Implications for graduate medical education preparedness are considered. Future research should address similar questions using comparable national data collected after the recent guideline changes. This study was reviewed by the American Institutes for Research Institution Review Board and qualified for exempt status because it involved very minimal or no risk to study subjects. Association of American Medical Colleges Medical Education Cluster. Core entrustable professsional activities for entering residency (CEPAER). Washington, D.C.2013. doi: https://doi.org/10.1080/10401334.2012.692284. Centers for Medicare & Medicaid Services (CMS). CMS Manual System: Pub 100–04 Medicare Claims Processing Transmittal 2303. https://www.cms.gov/Regulations-and-Guidance/Guidance/Transmittals/downloads/R2303CP.pdf: Department of Health and Human Services (DHHS), Centers for Medicare & Medicaid Services (CMS). 2011;Change Request 7378. Accessed December 21, 2018. Centers for Medicare & Medicaid Services (CMS). CMS Manual System. Pub 100-04 Medicare Claims Processing Transmittal 4068. https://www.cms.gov/Regulations-and-Guidance/Guidance/Transmittals/2018Downloads/R4068CP.pdf: Department of Health and Human Services (DHHS), Centers for Medicare & Medicaid Services (CMS). 2018;Change Request 10412. Accessed December 21, 2018. Alliance for Academic Internal Medicine. 2016. 2016 Clerkship Directors in Internal Medicine Annual Survey of Internal Medicine Clerkship Directors, Study Database. Alexandria, VA: Alliance for Academic Internal Medicine. 2016. https://higherlogicdownload.s3.amazonaws.com/IM/fecab58a-0e31-416b-8e56-46fc9eda5c37/UploadedImages/Documents/Summary_Results_2016_CDIM_CD_Annual_Survey_AAIM.xlsx Accessed December 27, 2018.